If you want to check out more language pins to review the basics or learn something new, then why not check out the Inglés Málaga pin it board? 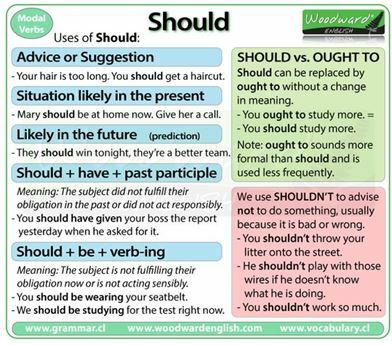 Posted on Aug 24, 2017 Jul 22, 2017 by Inglés MálagaPosted in Grammar, SpeakingTagged aprende ingles malaga cambridge, modal verbs, should. Previous Previous post: Modal Mania: Janette it is prohibited: You are not allowed to..
What is 'the Ikea effect'?